How effective is epilepsy surgery? 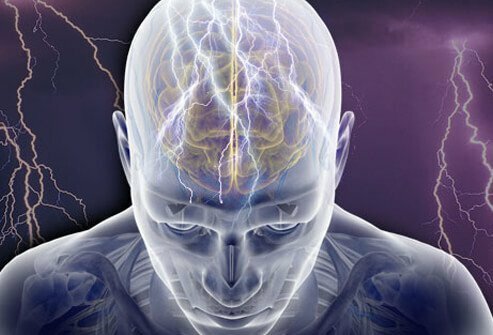 Most people with epilepsy can control their seizures with medication. But they aren't effective for about 30% of patients. In some cases, brain surgery may be an option. Surgery to remove the area of the brain producing seizures. Surgery to interrupt the nerve pathways through which seizure impulses spread within the brain. Surgery may be an option for people with epilepsy whose seizures are disabling and/or are not controlled by medication, or when the side effects of medication are severe and greatly affect the person's quality of life. Patients with other serious medical problems, such as cancer or heart disease, usually are not considered for epilepsy surgery. Lobe resection: The largest part of the brain, the cerebrum, is divided into four paired sections, called lobes -- the frontal, parietal, occipital and temporal lobes. Temporal lobe epilepsy, in which the seizure focus is located within the temporal lobe, is the most common type of epilepsy in teens and adults. In a temporal lobe resection, brain tissue in the temporal lobe is resected, or cut away, to remove the seizure focus. The anterior (front) and mesial (deep middle) portions of the temporal lobe are the areas most often involved. Extratemporal resection involves removing brain tissue from areas outside of the temporal lobe. Lesionectomy: This is surgery to remove isolated brain lesions -- areas of injury or defect such as a tumor or malformed blood vessel -- that are responsible for seizure activity. Seizures usually stop once the lesion is removed. Corpus callosotomy: The corpus callosum is a band of nerve fibers connecting the two halves (hemispheres) of the brain. A corpus callosotomy is an operation in which all or part of this structure is cut, disabling communication between the hemispheres and preventing the spread of seizures from one side of the brain to the other. This procedure, sometimes called split-brain surgery, is for patients with extreme forms of uncontrollable epilepsy who have intense seizures that can lead to violent falls and potentially serious injury. Functional hemispherectomy: This is a variation of a hemispherectomy, a radical procedure in which one entire hemisphere, or one half of the brain, is removed. With a functional hemispherectomy, one hemisphere is disconnected from the rest of the brain, but only a limited area of brain tissue is removed. This surgery generally is limited to children younger than 13 years old who have one hemisphere that is not functioning normally. Multiple subpial transection (MST): This procedure is used to help control seizures that begin in areas of the brain that cannot be safely removed. The surgeon makes a series of shallow cuts (transections) in the brain tissue. These cuts interrupt the movement of seizure impulses but do not disturb normal brain activity, leaving the person's abilities intact. The effectiveness varies, depending on the type of surgery. Some people are completely free of seizures after surgery. For others, the frequency of seizures is significantly reduced. In some cases, surgery may not be successful and a second surgery (re-operation) may be recommended. Most patients will need to continue taking anti-seizure medication for a year or more after surgery. Once seizure control is established, medications may be reduced or eliminated. Risks associated with surgery: These include infection and bleeding, as well as the risk of an allergic reaction to the anesthesia. Risk of neurological deficits: Surgery can worsen existing problems or create new problems with the way the brain functions. Neurological deficits include loss of functions such as vision, speech, memory or movement. Risk of surgery failure: Even with careful pre-surgical evaluation, surgery may not eliminate or reduce seizures. Before undergoing surgery your doctor will discuss the potential risks and benefits of the procedure. Before undergoing surgery your doctor will discuss the potential risks and benefits of the procedure. In some cases, isolated seizures may occur immediately following surgery. This does not necessarily mean the operation was not successful. Occasionally, a second operation, or re-operation, is needed to remove brain tissue that is later found to be a source of seizure activity. Brain lesions include tumors, scars from a head injury or infection, abnormal blood vessels, and hemotomas. A lesionectomy is an operation to remove these lesions that sometimes can lead to epilepsy. Brain seizures can begin in critical areas of the brain. A relatively new epilepsy treatment called multiple subpial transection (MST) may be an option. MST stops the seizure impulses by cutting nerve fibers in the outer layers of the brain (gray matter), sparing the vital functions concentrated in the deeper layers of brain tissue (white matter). Tumor grade is a system used to classify cancer cells in how likely the tumor is to grow and how abnormal they look under a microscope. Tumor grade is not the same as tumor stage. A biopsy is taken to determine if the tumor is benign (non cancerous) or malignant (cancerous).